Jess Glynne Brings The ULTIMATE Surprise To Our Summertime Ball... Tinie Tempah! It's her first solo performance at the Summertime Ball, and Jess Glynne definitely BROUGHT IT to her incredible set, including a very special guest! Talk about FIERY! 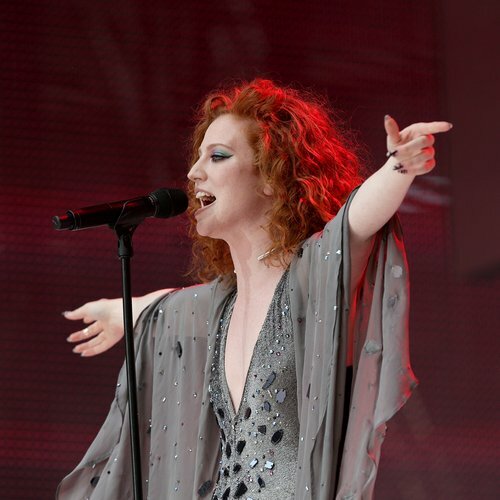 Jess Glynne pulled out all the stops for her first solo performance at Capital's Summertime Ball - and she definitely brought some HUGE hits! Jess was joined by Tinie Tempah midway through their set for their joint song 'Not Letting Go' to massive screams from the crowds - it was an unmissable and unforgettable moment from the show, and that's no mean feat! The UK star headed out on stage in a SERIOUSLY eye-catching outfit of silver sequenced catsuit and a beautiful grey sheer shawl over the top, looking every INCH the superstar. She kicked things off with ‘Right Here’, he first solo single, which the crowd lapped up every minute of while Jess immediately found her comfort zone on the HUGE Wembley Stadium stage. Jess was then in full swing by the time she broke into ‘Real Love’, her most recent team-up with good pals Clean Bandit. Next up Jess broke out one of 2014’s biggest songs ‘Rather Be’, a multi-week number one on the Vodafone Big Top 40, and it was clear all 80,000 fans knew the words to that one. You sound amazing! I can hear you in my ears!” Jess said, ahead of her final track .”How was One Direction? I’m gutted I missed them? Then it was time for Jess’ Vodafone Big Top 40 chart number one ‘Hold My Hand’ - the PERFECT way for her to round off a world-class setlist.